New Ammotara Strap. What about it? Many customers thought we make straps for Panerai only...In fact, for the past 14 years, we have been making straps for many other brands such as Rolex, Cartier, Audemar Piguet, IWC...etc. 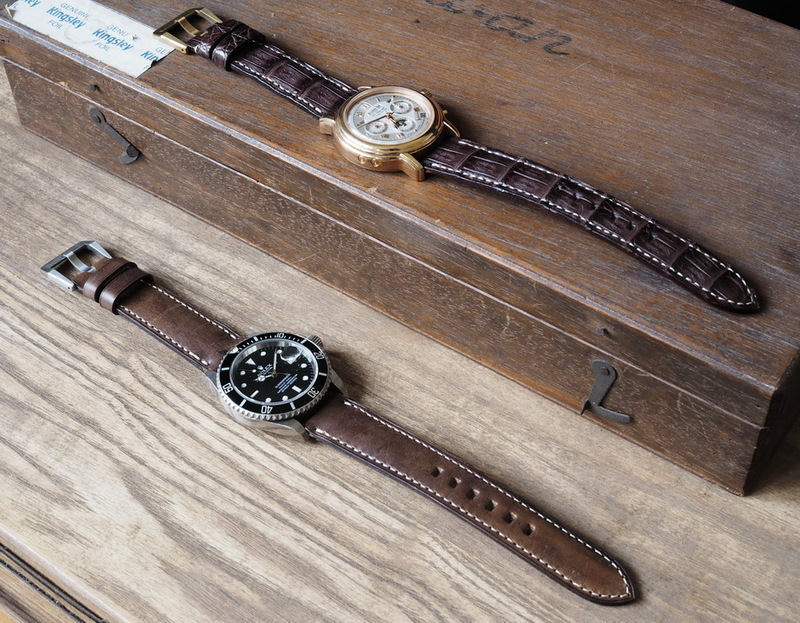 If you can provide enough information about the watch, I can custom make a strap for you. All the materials in my website (except rubber) can be used for your custom order. Use the contact form to send pictures of your watch will drasically shorten the time needed to gether info. Feel free to contact me to discuss your new custom strap!